Constitution Day is one of the public holidays in the Republic of Nauru. It is celebrated annually on May 17. Nauru is a small island country in Micronesia. The island became a German colony in the 19th century. After WWI, it became a League of Nation Mandate administered by the UK, Australia, and New Zealand. Between 1942 and 1945, Nauru was occupied by Japan. After WWII, it became a UN trust territory. 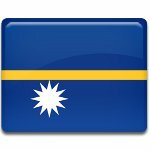 Nauru was granted independence from Australia, New Zealand and the UK on January 31, 1968. The constitution of the newly independent state was adopted on the same day. However, on May 17, 1968, the Constitutional Convention of Nauru incorporated a number of alterations into the country's main law, that is why this day is now celebrated as Constitution Day. Many countries celebrate Constitution Day with public speeches and military parades, but Nauru is an exception. In the Republic of Nauru, this holiday is marked with sports competitions held throughout the island. Constitution Day is in fact the last day of the country's national athletic championship. The competitions open with an impressive parade of teams.